Sheltered housing is a housing option for elderly people. It allows them to retain most of their independence and means they can avoid moving into a care home, but can also receive the attention that they need. There are various types of sheltered housing scheme, and renting and buying are both options in sheltered housing schemes. Most sheltered housing schemes have a warden on duty at all times and a 24 hour emergency alarm system. Accommodation in sheltered housing schemes is usually self-contained in the form of, perhaps a small flat. Often, because sheltered housing scheme homes are clustered together, there are communal areas too. As a rule, personal care and help around the home are not provided in sheltered housing schemes. However, this sort of help is still available in the standard way from the Local Authority or private services. As well as paying rent or the mortgage, residents who live in sheltered housing must also pay a maintenance fee which goes towards the services which the sheltered housing and its staff provide. Sheltered housing is usually available to rent from the council or a housing association. To rent sheltered housing from the council, there is an applications process as there is for all council housing. Council housing allocations policies vary from area to area. Enquire with your Local Authority what their sheltered housing system is. Those who currently own their own home are unlikely to be offered a council sheltered housing place, although health factors sometimes make this a possibility. Renting sheltered housing from a housing authority may involve going through the council (because some housing authorities work together with councils) or applying directly to the housing association. Your local Citizens Advice Bureau and/or your council can provide you with details of housing associations who provide sheltered housing in your area. Sheltered housing is available to buy from private companies. 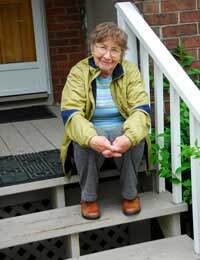 Help the Aged advise only buying sheltered housing from a company that is approved by the National House Building Council and who abide by its sheltered house building code. Sometimes part ownership schemes are available or Life Interest plans are offered. This means occupiers pay a set fee to live in the house until they die. Sheltered housing schemes vary widely and it’s important to find somewhere you will be happy. What size of flat or apartment you would like? Ask to look around a few flats on offer to see what you think. Consider issues such as ease of use of the apartment, especially if you have a disability. Ask about the level of security that is provided. If you will want to be out and about regularly, think about the public transport availability and regularity. Enquire about the social side of the sheltered housing scheme. Are there regular events organised and is there a communal area? Is this something that is important to you? Find out all the details of any contract before you sign anything. Discuss it with your family and preferably a legal professional.